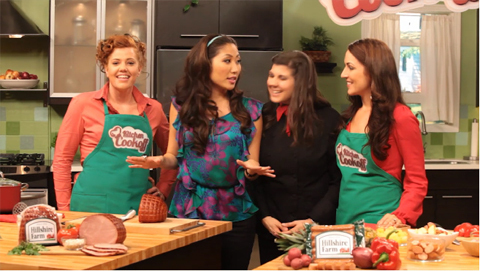 Check out Jelynn's New Show Kitchen Cookoff on MSN! Jelynn is hosting a brand new cooking show for MSN.com called Kitchen Cookoff! The first 4 episodes were recently uploaded, and you can watch them at the Kitchen Cookoff website. Each Kitchen Cookoff episode features two women competing head to head, making one of their families best dishes, with Jelynn and Chef Jill Houk deciding the winner. Its a fun show that shows off some great simple recipes that are easy to make. Check out the first 4 episodes and come back for news on new episodes!